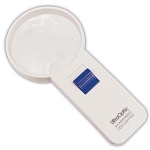 Magnification - 8X; Lens Size - 35mm. 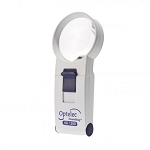 Introducing the MAXI-BRITE line of LED Magnifiers This LED handheld type of magnifier is the finest in the industry and a must-have for anyone with reduced vision. 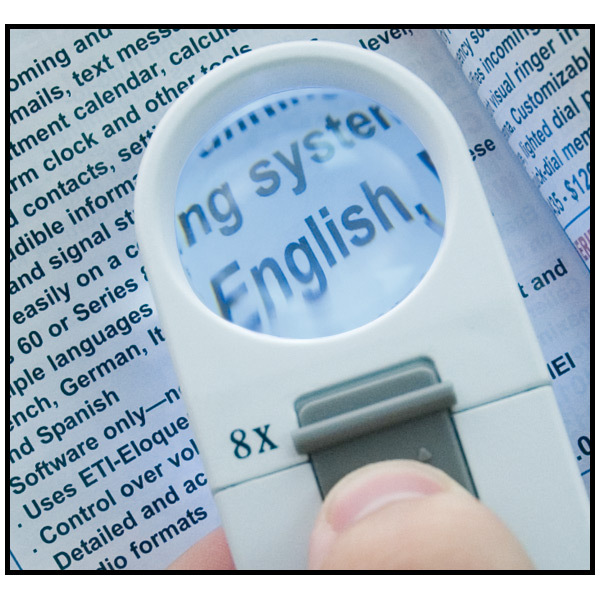 Use the magnifier on newsprint, books, magazines or photos for crystal clear viewing. 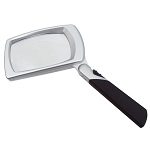 The LED bulb provides extra light when necessary and never needs replacement. 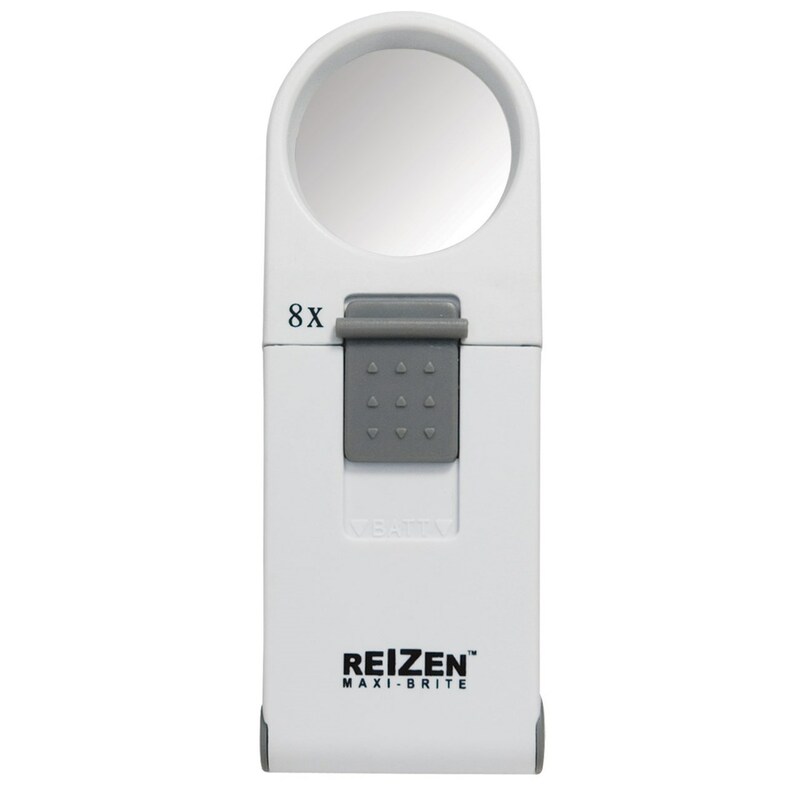 Measuring less than 6 inches in length, this magnifier can be comfortably used at home or tucked into purse or briefcase for on-the-go magnification. 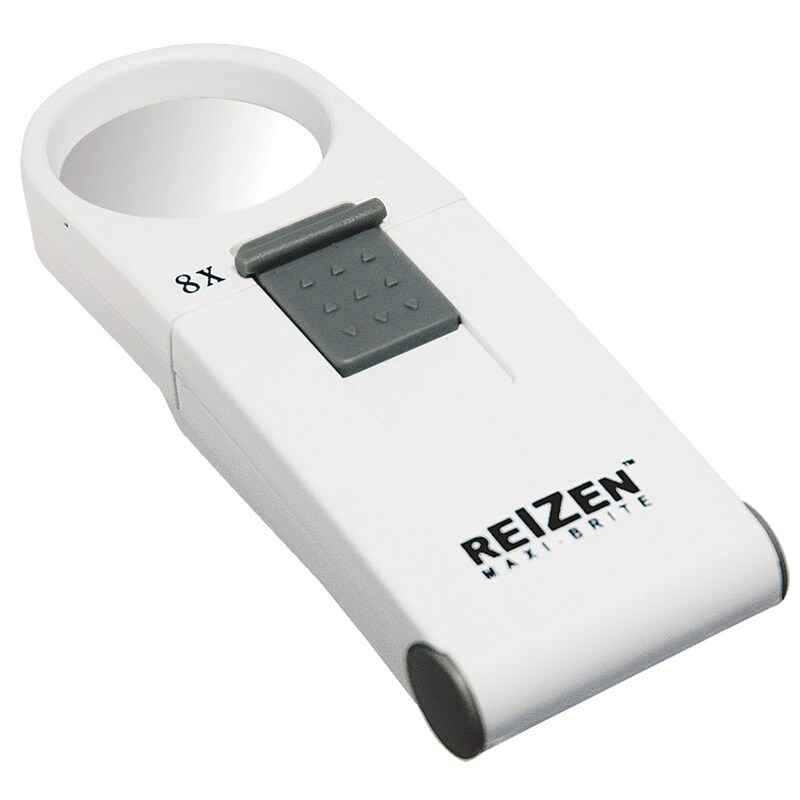 It really comes in handy for those long trips The magnifier comes in its own buttery-soft vinyl drawstring carry case and storage/gift box. Uses 3 AAA batteries; not included.